Samantha Wilmot bags a watermelon for a customer at the Columbus Farmers Market in Barthlomew County. Wilmot is one of many farmers market vendors who accepts Supplemental Nutrition Assistance Program benefits. "Thank you, and God bless," she said. Most of Wilmot's customers paid with cash or by credit or debit card. 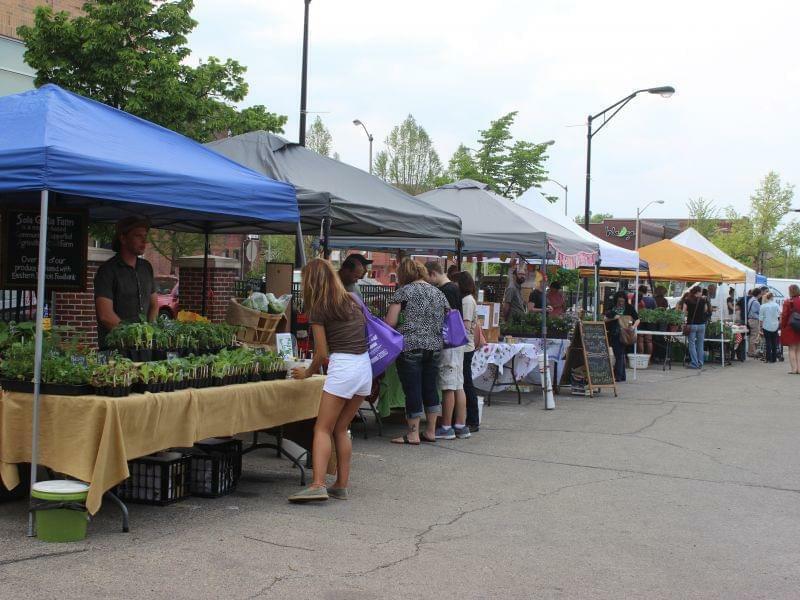 But many of the Columbus Farmers Market vendors also accept a special currency – wood tokens in $3 increments, which customers who receive federal government benefits exchange for fresh produce, baked goods and more. For at least a decade, low-income Hoosiers have purchased farmers market offerings using funds from the Supplemental Nutrition Assistance Program, government benefits previously called food stamps. But most don't. Of the total SNAP benefits redeemed in Indiana last year, less than 1 percent were spent at farmers markets. Still, advocates say it's important for low-income people to have access to these markets, many of whom live in food deserts -- areas miles from the closest grocery store. "Our farmers are very welcoming," said Christina McDougall, executive director of the Hoosier Farmers Market Association. 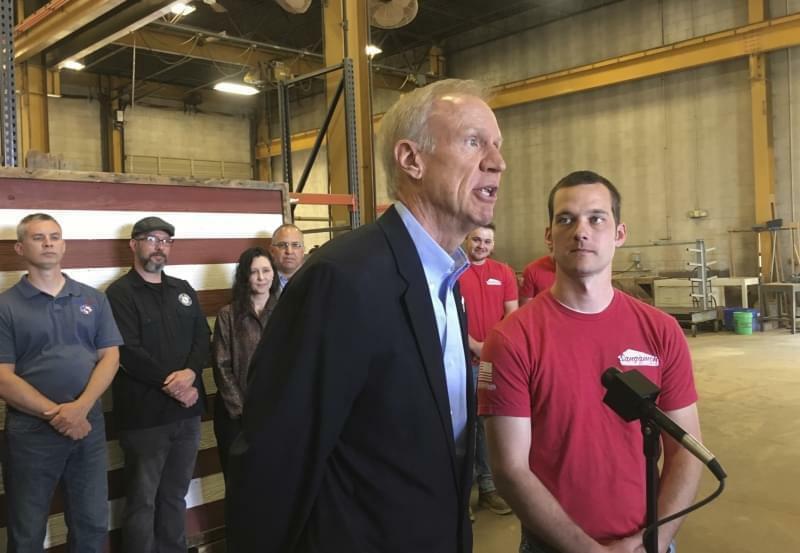 "They have a genuine interest in how to help food insecure families in the state of Indiana, and I think that is a huge testament to what farmers bring to the community." It will soon be harder at some farmers markets to use SNAP benefits. The company that processes some 40 percent of SNAP transactions at farmers markets across the U.S. will shut down at the end of the month, according to a report from the Washington Post. This puts 24 of Indiana's 74 SNAP-accepting markets at risk of losing that service. Earlier this month, Austin-based software development firm Nova Dia Group informed the USDA's Food and Nutrition Service it would no longer provide equipment or support to nearly 2,000 farmers markets across the country. "The department is exploring options in an attempt to avoid a service disruption and mitigate the impact on our program participants as well as farmers and producers,” a USDA spokesperson said in an emailed statement. Farmers market staff swipe the Hoosier Works card through a machine that looks like one you'd use to pay by card at a grocery store. The customer gets tokens in exchange. Vendors then trade the tokens in at the end of the market for cash. It isn't mandatory for vendors to accept SNAP dollars, but more than a third of Indiana markets do, according to the Hoosier Farmers Market Association. "It doesn't matter to them (vendors) one way or the other because they're reimbursed regardless," said Stacy Findley, who oversees the Farmers Market for the Columbus Parks and Recreation Department. "They're a neutral party, and obviously they appreciate customers regardless of their method of payment." Fewer than half of Indiana's markets that accept SNAP benefits use Nova Dia, a wireless software compatible with Apple products like iPhones and iPads. Those that do, like Bloomington's Tuesday Market, may soon stop accepting SNAP benefits, or come up with a workaround at their own expense. Hyo Eun Trimple, owner of Seymour-based Lim's Bakery, sells a scone to a customer at the Columbus Farmers Market. Trimple accepts SNAP benefits at her booth, and made more then $300 in the wood tokens last market season. "There's a lot of markets that are scrambling right now," said Marcia Veldman, Bloomington Community Farmers Market coordinator. States are required by law to provide free equipment to process SNAP transactions at farmers markets, and the USDA reimburses the state for half of these purchases. It isn't required, but the USDA prefers states provide wireless systems, like Novo Dia's, which are easier to use in rural areas without access to electrical outlets. 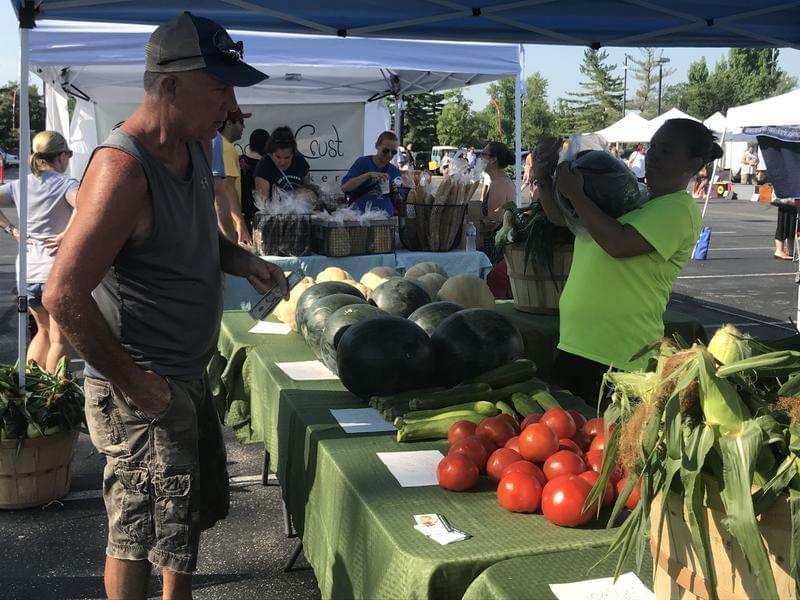 In the past two years, 15 farmers markets across the state have begun accepting SNAP benefits using government-provided equipment, said Angela Albin, SNAP program manager for Indiana's Family and Social Services Administration. But those requests could take up to six months before farmers market staff have equipment in hand, McDougall said. "There could be a lapse in service," she said. This is the wireless point-of-sale system used at the Columbus Farmers Market to exchange SNAP benefits for wood tokens. As most markets are run by local government and community nonprofits, "it can be cost prohibitive to a market," McDougall said. While advocates worry what the loss of SNAP-accepting farmers markets will mean to low-income communities, records show the program isn't well used with SNAP beneficiaries. In Bartholomew County, for example, Columbus Regional Health's Healthy Communities program doubles what SNAP recipients can spend on meat, seafood, dairy, eggs and select other products at the Columbus market. The average person is only eligible for SNAP benefits in Indiana for a year. In that time, they don't learn they can go to a farmers market to buy everything from fruits and vegetables to meats and baked good and seeds to start their own gardens. "We are in constant education mode and outreach mode," McDougall said. Stigma also contributes to the low use. SNAP recipients and other low-income people are the only customers who use alternative currency like tokens at many markets, so it's easy to point out who pays with government benefits. 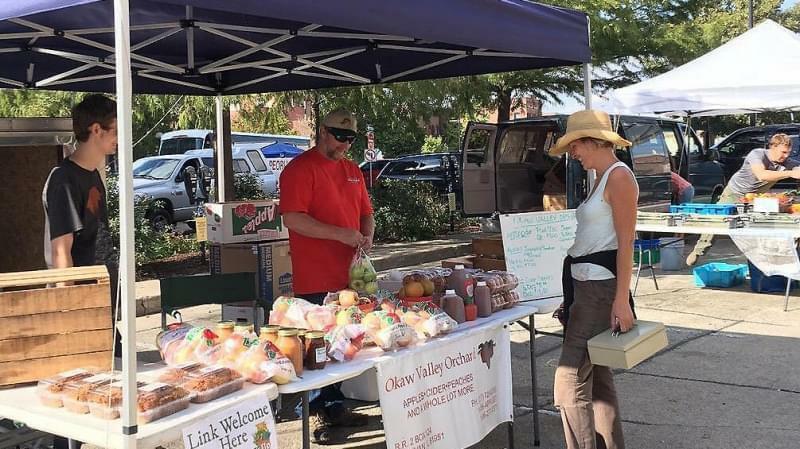 "We're normalizing that behavior in addition to trying to promote the program," said Mallory Rickbeil, who coordinates the Linton market. "As long as our market is strong, our infrastructure for combating food insecurity in this rural area is strong as well." Like 84 percent of Indiana's farmers markets, the Linton market is in a USDA-recognized food desert. Much of the rural population lives at least 20 miles from a grocery store. 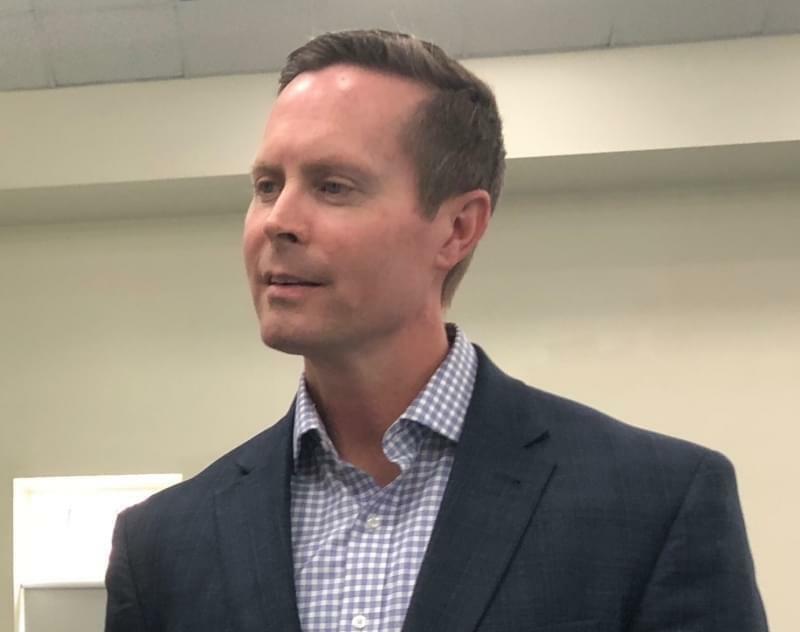 While the market only brought in $967 in SNAP benefits and matching dollars last year, it's integral to the community's health, said market manager Mark Stacy. "We’re an hour from a Bloomington or Terre Haute or Vincennes or some place that has more variety when it comes to food choices," Stacy said. "When it comes to fresh foods, the farmers market is about the only option folks have in Linton."